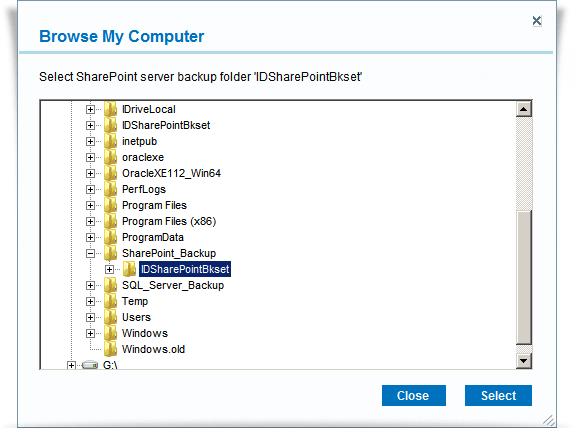 Click 'Restore Now' button, to restore the ‘IDSharePointBkset' folder to the local computer. 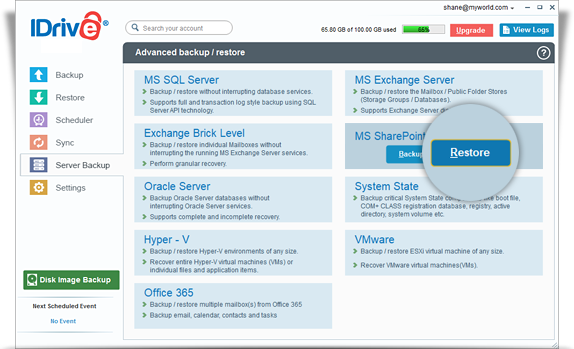 The 'SharePoint Server backup/restore’ screen is displayed. 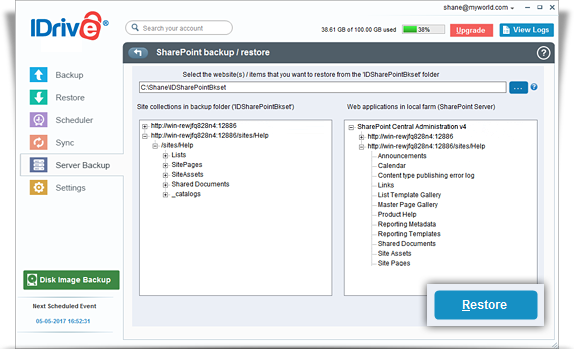 Select the web-sites you want to restore and click the 'Restore'.